Well what a great day out that was. 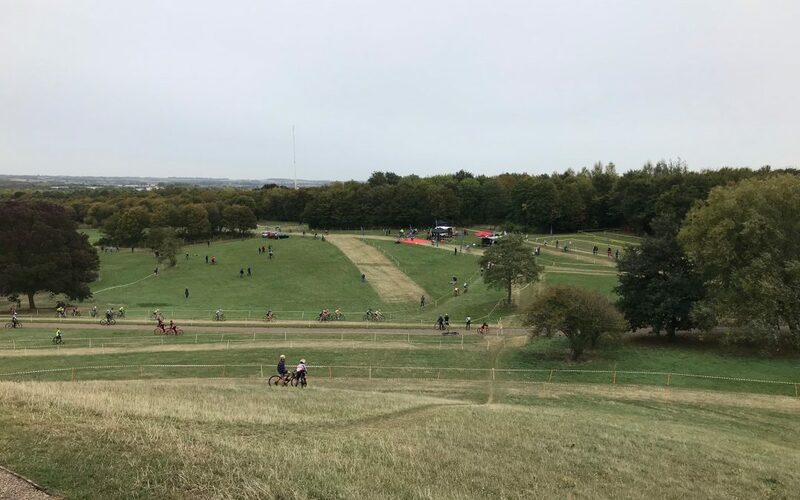 Well organised event by Velobants CC and the Central CX League, who both made us very welcome. It rained but who cares, this was “Cross” and that’s what happens. Made an excellent course in Campbell Park all the more interesting. Big turn out too with the highlight being the massive field of over 60 riders in the women’s race. 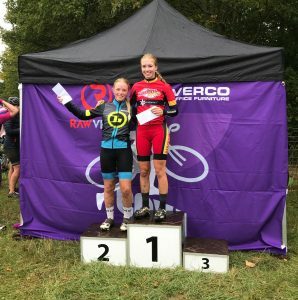 6 members of the Banjo Cycles CX Development Team turned up and had a great time getting their new Specialized Crux bikes dirty for the first time. All in all it was a gentle reintroduction to the stresses and strains of being a helper at these events – a shortish walk in with all the kit and the cleaning and drying afterwards. It may have been wet but it wasn’t cold and no pit changes were required. 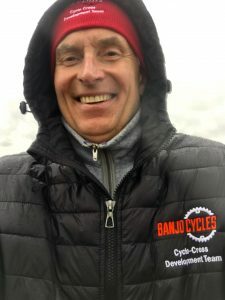 The new Banjo Cycles jacket kept the weather out too. 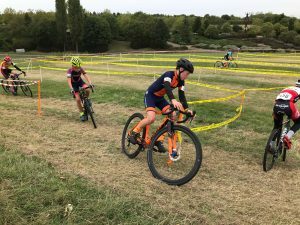 and Arlo Carey – 3rd in the U14 Youth race. Emily Conn, Duncan Pritchard and Gareth Davies also had strong rides. Nice to catch up with a few people I hadn’t seen for a while too. Off to Basingstoke for the Wessex League tomorrow – forecasting heavy rain. A big contrast with last Sunday’s sun and 22 degrees.